MOSCOW, November 8. /TASS/. 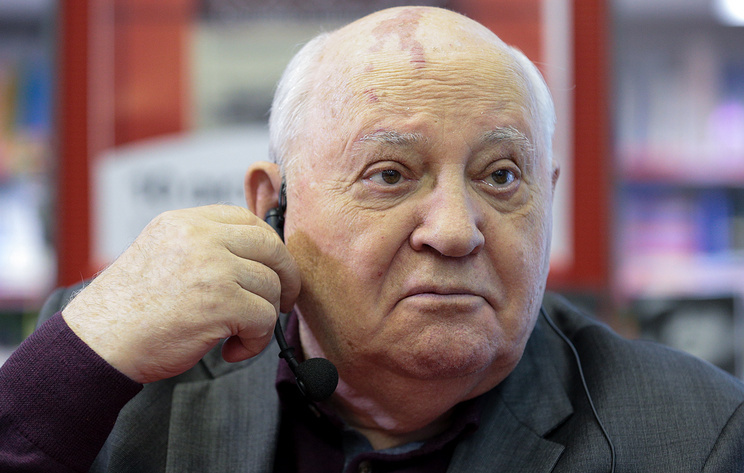 The Soviet Union’s first and last president Mikhail Gorbachev has warned the world of the risk of being plunged into another arms race and Cold War. He expressed the hope it could be avoided in a message to the authors and audience of a documentary entitled Meeting Gorbachev, read out by personal interpreter Pavel Palazhchenko before the film’s premiere in Russia. Gorbachev attended the ceremony but did not rise to the podium. “Today we are witnesses to attempts … to roll the world back into the past. The worst risk is the return of the confrontation and the beginning of another arms race,” Gorbachev said in the statement. “That’s the limit. It cannot be tolerated. It will be wrong to give up. I believe that another Cold War can be stopped and I will be doing all I can to this end,” Gorbachev said. In his message Gorbachev said that in a nuclear war there could be no winners. “I believe that these words must become the slogan of a new movement against the nuclear threat,” he said. Gorbachev recalled that just recently some foreign periodicals published his article in which he declared it would be impermissible to drop the Intermediate Nuclear Force Treaty. After the article’s publication Gorbachev received a message of support from former US Secretary of State George Shultz, who stated that another arms race would be impermissible. After the film, he replied to journalists’ questions. “Getting rid of nuclear weapons as such is the most important thing. I am in favor of a ban on nuclear weapons,” Gorbachev stressed, adding that the effects of nuclear weapons are well known and horrible. Gorbachev also spoke in favor of normalization of Russian-US relations. Meeting Gorbachev is a joint production of film directors Werner Herzog and Andre Singer. The documentary is based on a series of personal interviews Gorbachev granted to the authors. The documentary has already been screened in Canada and Germany. Did California Bar Massacre Claim The Life Of Tamera Mowry’s Niece?